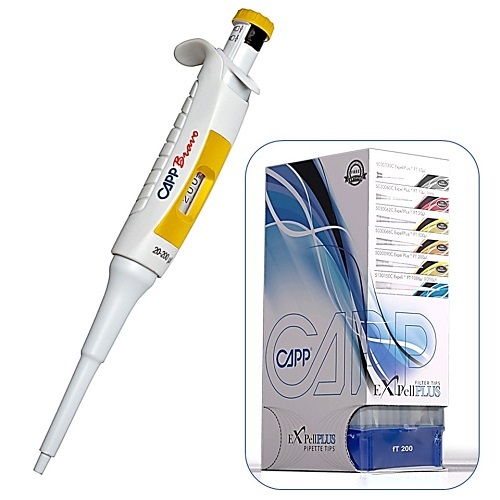 Save when you purchase the CAPP Bravo Pipette and the CAPP Expellplus Pipette Tips together. Achieve a More Reliable Pipetting Experience with the CAPP Bravo pipette. CAPP Bravo variable volume pipettes combine three decades of CAPP’s research, design and focus to bring the most dependable, precise and easy to use pipette that every researcher can afford. 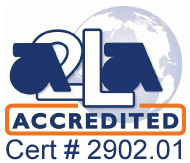 All Bravo pipettes come with a 3-year warranty and are fully autoclavable. The CAPP Bravo pipettes are manufactured in Denmark using the highest quality materials concentrating on Ergonomics, Comfort, and Tip Fit/Performance with a volume range of 0.1ul to 10mL. This pipette is 11% lighter in weight, compared to other known pipette brands. The reduced plunger force reduces the amount of work your hands have to do. CAPP Bravo has a superb elegant design which provides a balanced weight distribution throughout the pipette providing you with the greatest amount of comfort for extended pipetting periods. Your hands and fingers will feel no pain. CAPP Bravo will work with all major Brands of Tips, including the ones you are using today. The built-in oversized indicator for easy volume monitoring, precise adjustment, and positive indicator lock ensure you are always pipetting the most accurate and precise volumes. The CAPP Line of Expell & Expell Plus Pipette tips provides some of the highest quality Low Retention Filtered and Non-Filtered Tips on the market. Expell Plus tips deliver volumes within 0.1% of the set volume, versus 0.5-0.7% for standard tips. All tips are designed with a softer collar to ensure an airtight seal for the widest range of pipettes. Additionally, CAPP tips have the smallest rack footprint and use minimal plastic, making them the lightest tip racks on the market. The dispensing style packaging system makes the tips easy to store and access. All tips are RNase, DNase, Pyrogen and Endotoxin FREE. These tips are a great complimentary product for all CAPP Aero Pipettes.